Nearly a third of the workforce at a Fox's Biscuits factory could lose their jobs under moves by its owners to "ensure a longer-term, viable future". Owners the 2 Sisters food group, said 250 of its 780 workers are at risk of redundancy at its "loss-making" Uttoxeter plant. Another 50 out of a total of 63 jobs may also be at risk at its Uttoxeter and Wakefield distribution centres. Union Unite described the announcement as "a massive blow". A consultation period, which is due to last "a minimum of 45 days", has begun as the proposals are considered and work is done to "reconfigure" the sites, the company said. Unite said it was planning to meet shop stewards and bosses on Friday to "digest the full implications of this announcement". In a statement, 2 Sisters said that in order to "maximise new growth" it has had to make "tough decisions". "Regrettably, our loss-making site in Uttoxeter requires urgent attention and biscuit production lines need re-configuring. Around 250 roles will be at risk of redundancy. "Additionally, a smaller number of colleagues, around 50, at our Uttoxeter and Wakefield distribution centres will also enter into consultation as we explore proposals to out-source this warehousing work." Unite regional officer Rick Coyle, said: "The news... is a massive blow to the workforce, their families and the regional economy. It will cause real economic pain." 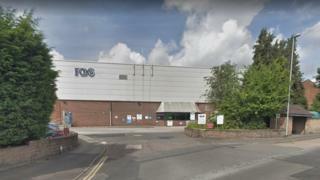 Its owners were criticised last year for sending Fox's Biscuits as a Christmas gift to MPs investigating alleged food safety breaches at its West Bromwich plant.